AddressThe address for this sale in Austin, TX 78738 will be available after 9:00am on Thursday, April 25th, 2019. Lots of vintage & mid century furniture and decor. Linens, china, glassware, flatware, clothing and home goods. 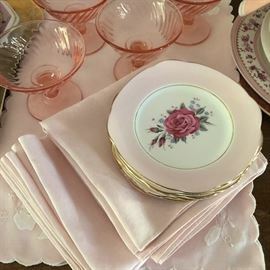 Pink vintage linens, china and glassware.